pre-loved (gently-worn) footwear on behalf of charity organisation Soles4Souls Australia. 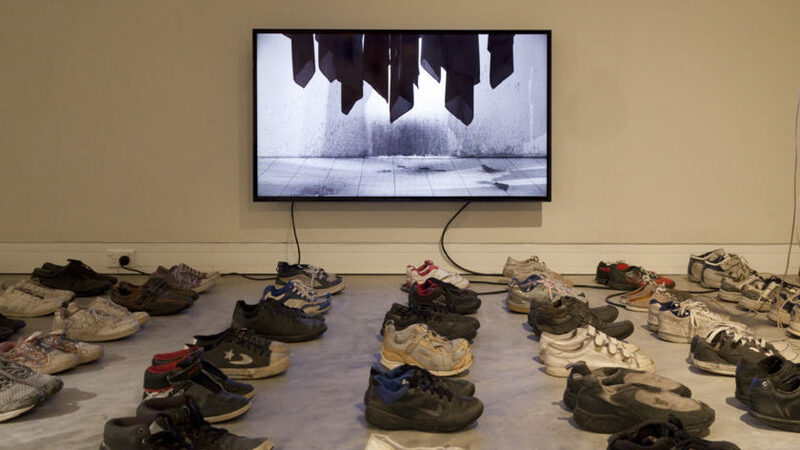 At the end of the exhibition all donated footwear will be distributed to members of our local community, as well as national and international recipients for whom shoes represent an unaffordable luxury. Soles4Souls Australia (The Butterfly Movement Ltd) was established in 2011 and is based on the theory that when a butterfly flaps its wings on one side of the world it can create a hurricane on the other side. The Butterfly Movement is about making a positive impact on the world and the lives of others, whether they live next door or across oceans. Shoes improve health and create opportunities including schooling, employment and sport. To this day, more than 125,000 pairs of shoes have been donated and distributed to people in need.